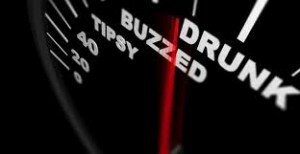 Facing DUI Charges in NH? What Happens Next? An early morning car crash on Interstate 293 in New Hampshire sent three people to area hospitals with injuries. A Salem man is now facing DUI charges. A car sped by a NH State Trooper at a high rate of speed. The Trooper pursued the vehicle and had the car in view when it crossed the center lane. The driver was stopped, field sobriety tests were administered, and the driver was subsequently arrested for DUI. If this or a similar scenario happened to you or a loved one, you’re probably trying to determine what options you have. Perhaps you submitted to a breath test, or had your blood alcohol content checked; or you maybe you refused the breath or blood tests and were charged with DUI anyway. And because you refused the chemical test, you face mandatory license suspensions because of the refusal. So, even though you may win the NH dui charge, you still may find your driving privileges suspended. If you find yourself charged with dui in NH, you will want to have an experienced DUI attorney by your side. Our DWI attorneys help educate each client about NH drunk driving laws. If you case involved an auto accident or serious bodily injuries, it may receive a great deal of attention from the media and video from police dash-cams can show up on the internet. It is crucial in DUI accident cases to know how to fight these charges in court. Retaining a dwi lawyer as soon as possible, while the facts are fresh in your mind, is critical to help your attorney analyze the situation. One of the first things that runs through a person’s mind when he or she is charged with DUI is what are the penalties for a DUI conviction in NH and how can I get out of this mess. It is crucial that you have all the evidence examined as soon as possible. Maybe there were mistakes made by the arresting officer that you may not be aware of. If the arrest itself was unlawful, or if the DUI tests were not performed correctly, then those errors could help your case. So, keep your cool; calling a qualified DUI attorney in NH is the critical first step when charged with drunk driving. The attorneys at Tenn And Tenn, PA in Manchester, NH are here to help.